Turkish Prime Minister Recep Tayyip Erdogan recited an Islamic prayer inside the Hagia Sophia in honor of Istanbul’s conquerors on Easter weekend. 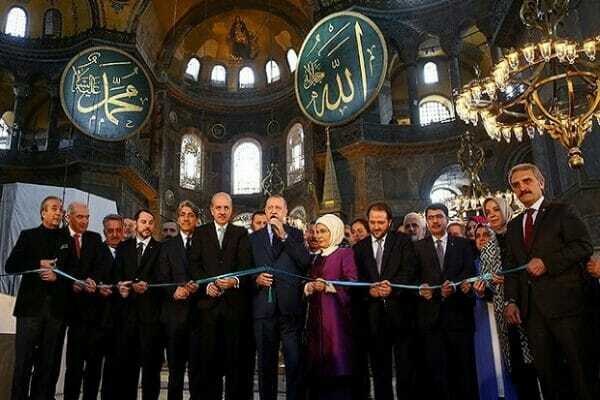 Erdogan made the comments at an art festival on Saturday in the Hagia Sophia. Turkey’s secular founder made the structure a museum in 1935, but there have been discussions by Erdogan’s Islamic-leaning government about converting it back into a mosque.